I love to make bread. Bread making at home is so satisfying. Recently my bread maker committed kamikaze and propelled itself onto the floor and smashed. It’s the last in the line of many over the years. I have literally used them to death, making thousands of loaves and dough related products. Anyhow, I came to the conclusion that I don’t really need a bread maker. They seem to be a bit out of fashion? Also I hate doubling up on appliances I never cooked in the bread maker anyhow, as that square loaf is so boring. The truth is a mixer with a strong motor i.e. 700 w, with a dough hook will do the job and they are not nearly as expensive as they used to be, and they can do other things too. Is there any better smell, than fresh bread baking? Making bread is technically very scientific. But don’t be put off. It’s been done by many cultures for thousands of years. These days we have access to great bread mixes, which are so easy to use. 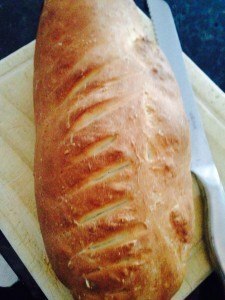 There are so many variations on bread too that you really can’t go wrong. 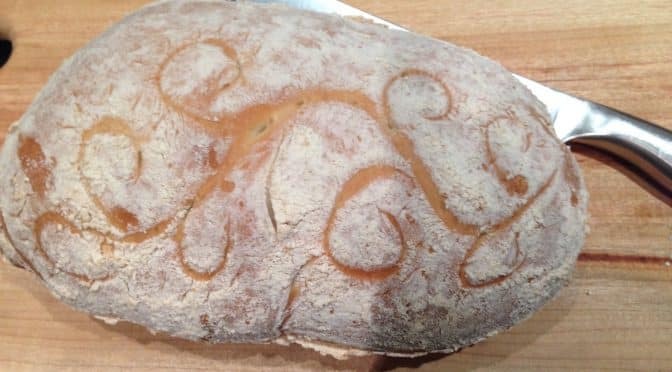 It will still be delicious, even if the type of loaf turns out different to expectations, (rename it). Just experiment. Bread can be leavened (using a raising agent), semi leavened, or unleavened (usually like a flat bread). The raising agent can be, yeast, or a culture like yogurt or a natural culture like in sourdough bread, or even baking powder like in damper. Strong flour and the freshness of the flour, yeast and the freshness of the yeast, the amount of sugars in the bread and , importantly temperature and humidity over time. I have had people comment that they wouldn’t make fresh bread at home because they would eat it all, but that’s just silly. You can share it of course, with your family and friends, or freeze what you don’t want to use immediately. Anyway, why limit your repertoire when it can be greatly enhanced by keeping this one extra product in your pantry that can do so many things. Vienna loaves and rolls, seeded loaves and rolls, focaccia, ciabatta, Lebanese flat breads, rye breads, sourdough loaves, olive bread, breads for yiros, Indian Naan breads, filled naan, piroshki, fruit breads, hot cross buns, yeast buns, apple buns, apricot buns, cherry strudel, Berliner’s, doughnuts, pizza slices, pizza, calzone, pirogi, chapati, pasta, tortellini, samosas, bruschetta, croutons and lavosh crackers. It’s really only limited by your imagination. I find it quicker to put some dough on, than to go to the shop. Even the most simple meal or soup, seems so much more delightful with a beautiful hot crusty grainy roll to go with it.